What is a Feluca cap? The Feluca is the cap of the University and it looks a lot like Robin Hood’s hat. It is called Feluca for the similarity to the felucca (boat), which in turn derives from an ancient noble family of Naples, the House of the Feluca. You have to pronunce it feh-LOO-kah, plural feh-LOO-keh. The use of this kind of hat by University students dates back precisely to year 1888. The goliardic brotherhoods of the Bologna University decided to imitate a particular Medieval hat once used by the “clerici vagantes” (penniless students who travelled from town to town, from University to University in order to learn and also to live new adventures. They were nominally clerks but the life they led was not so… “holy”). They were for the 1800s students an example of a cheerful and carefree way of living. Once all the University students in Italy had a similar hat. 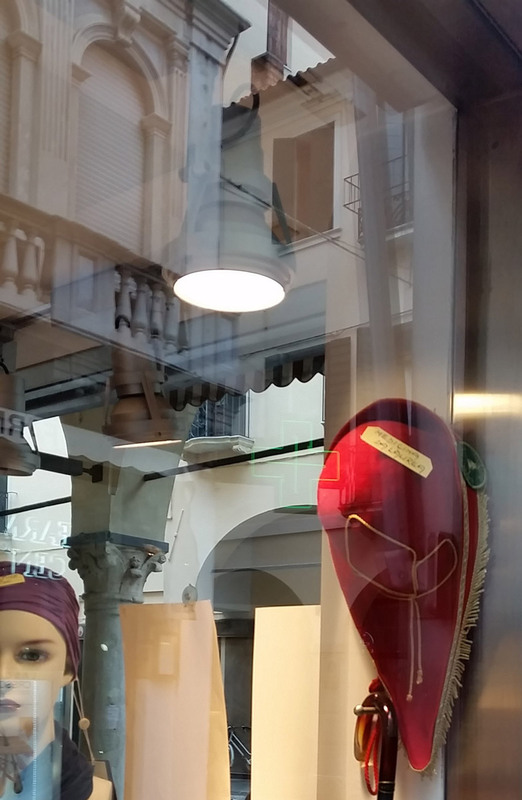 Today only a couple hat shops (at least in Padua) sell this kind of hat. But to buy it there is still (or at least there should be) a ritual to observe: if a boy wants to buy a feluca, he must stop a girl (and vice versa) and convince her to accompany him to the shop. Before entering he must instruct her on what to buy because, once in the shop, the boy can’t speak anymore. If a student wishes to become a part of the goliardia, the senior students modify his feluca. They for example remove the scalp, or the band inside the cap. Only in Pisa and Siena the tips are cut in memory of students killed in 1848 in the Battle of Curtatone and Montanara (during the First Italian Independence War): at that time the students who fought the battle cut the tip because it prevented them to take aim. The origin of the use of the feluca is not certain, but the first records were found in a Paduan student newspaper (1889): On each page there are caricatures of students with a feluca on their heads (but with a shorter point than the current one). On the first page, next to the title, there is the drawing of an ox head wearing a feluca (the bucranium is a symbol of the University of Padova). The colour of the feluca changes depending on the facoltà (major) attended by the student. Also the historical clothes worn during important ceremonies by the heads of department have the sleeves of the same colours. Finally, if you are want to learn more, read my post about goliardia.